Vertical Yacht Club Marina Mile, which breaks ground this fall, will be the first of its kind. The mythical Hercules may have been reknowned for performing 12 great tasks, but this real-life one will perform at least 61. Hercules is the name of an automated transport system that will be at the heart of the Vertical Yacht Club Marina Mile, a dry-storage facility for yachts that&apos;s currently in development in Fort Lauderdale. You read that right: dry storage for megayachts, something that until now has been available only for relatively small production boats. Specifically, the building will have individual spots for 61 yachts up to 90 feet LOA with up to a 90-ton displacement; an additional storage spot will be reserved for maintenance tasks. And from arriving at the bay doors to settling into your slot, it&apos;ll take just 15 minutes. So why has it taken so long to bring this type of facility to the megayacht market? It&apos;s partly due to technology; according to John Ross, senior vice president of development and construction for Vertical Yacht Club Development, the ability to create an automated system for yachts of this size or weight just didn&apos;t exist. He adds that his company now owns patents for some of the equipment that Vertical Yacht Club Marina Mile will employ. Another reason: habit. 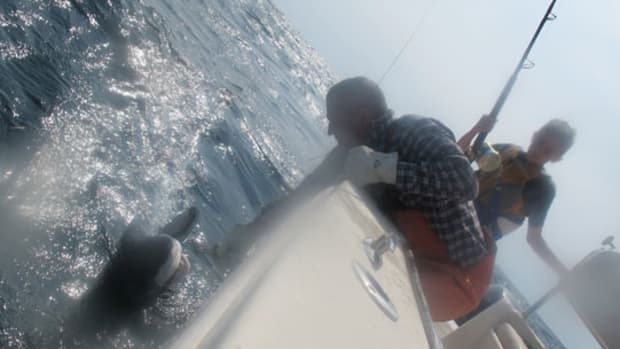 Owners and captains have gotten used to the idea of keeping their yachts in wet slips. 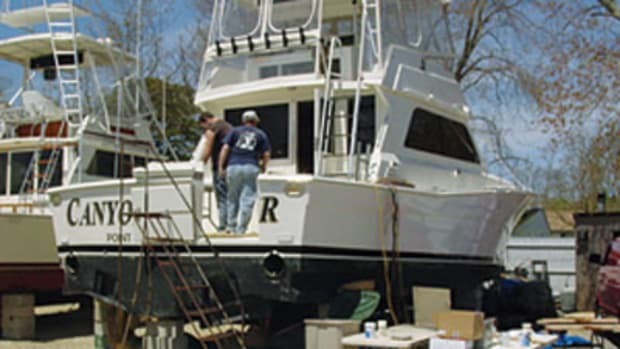 It may not seem a big deal if you use your yacht frequently, but when you consider how this practice results in you expending a lot toward maintenance, it actually is a big deal (arguably worse if you don&apos;t use your yacht often). And if you or your crew has ever had to get out of Dodge to find a safe haven come hurricane time, the developers claim you won&apos;t have to do that any longer, since the storage facility is reportedly being built to withstand a Category 5 storm. Each yacht gets a dedicated, climate-controlled "suite." The team refers to the Vertical Yacht Club Marina Mile storage spaces as "suites," and judging from my conversation with Ross and Katie Baron, who&apos;s Vertical&apos;s director of sales, the term is apt. Unlike the open-sided cubby holes typical of most dry-storage buildings, Marina Mile will feature enclosed, temperature- and humidity-controlled areas, complete with dedicated power supply (including European power) and other hookups, should you wish to monitor your electronics or other systems. (The facility will also offer a monthly maintenance program, where the staff will take care of your engines, electronics, etc.) The suites will additionally feature 250-square-foot mezzanines, where you and your captain or other representative can do paperwork or make phone calls. Furthermore, fire-suppression systems and security systems to prevent unauthorized access will be included. So where does Hercules come in? When a yacht pulls into the building, Hercules will lift and transport her to the suite, on a custom-designed platform that slides into rails built into the storage space. When you want to launch your yacht, Hercules lifts her and her platform at once, returning the platform to your suite when you pull away. 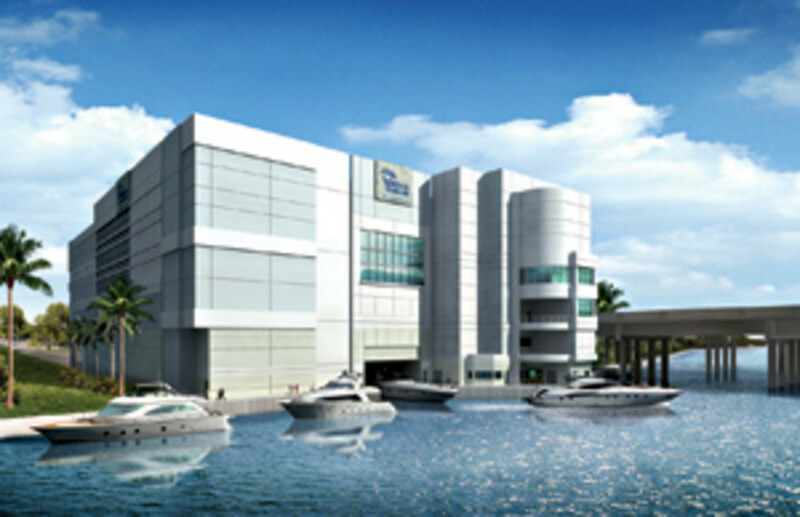 Since Marina Mile is being called a yacht club, the facility will also feature a fitness center, a spa, and an owners&apos; lounge with conference room. You&apos;ll benefit from concierge services, too. While ground-breaking won&apos;t occur until this fall, the developers have plans for more megayacht-oriented storage facilities. Ross told me that they are exploring options in Europe, Dubai, and elsewhere in the United States (though he didn&apos;t elaborate). 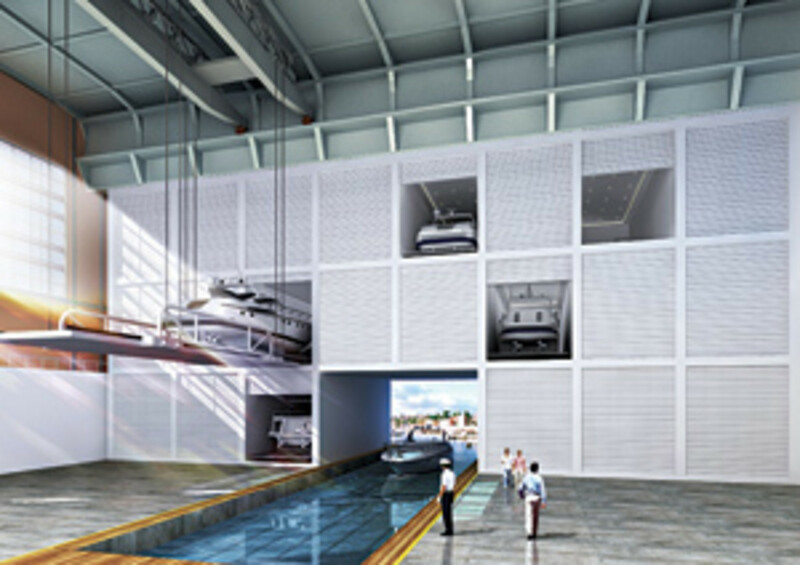 See a video of the Vertical Yacht Club Marina Mile storage facilities. Chillier-than-usual autumn temperatures didn&apos;t dissuade about two dozen people from attending the christening of Vivere, an Azimut 116, in early November in New York City. 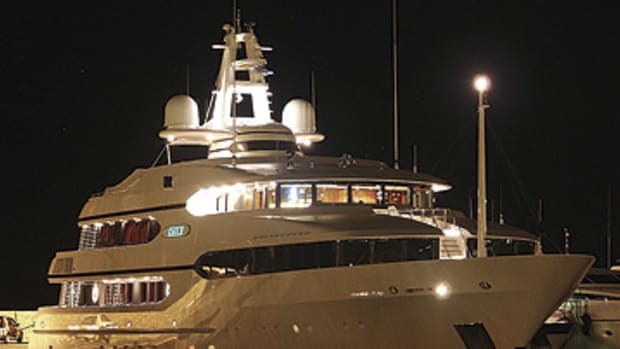 The flying-bridge yacht, whose name means "living" in Italian, was handed over to her owners at the Surfside 3 marina at Chelsea Piers (Surfside 3 is also the northeastern U.S. dealer for Azimut). While it&apos;s still a year and a half away from opening, the megayacht marina being developed in Imperia, Italy, is attracting attention. Northeast of San Remo, it should feature 35 berths for yachts 164 feet and larger. It will also have a yacht-service division, offering the ability to have parts replaced, metal components welded, and wood revarnished, among other things. For more information, visit boats4ever.com. We&apos;ve seen some interesting comparisons made to put a megayacht&apos;s cost into perspective, but a press release received from Edmiston & Company in November takes the cake. Stating that Midlandia, a 171-foot Benetti, was for sale for €27 million, it further explained that this was "some 20 percent more than a 1937 Matisse painting."